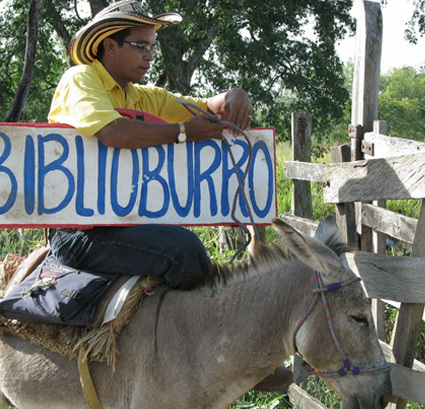 Every week-end, Luis Humberto Soriano, a teacher living in the remote hamlet of La Gloria in the north of Colombia, brings, with the help of his two donkeys « ALPHA » and « BET », the written word and knowledge to communes as secluded as Nueva Granada. 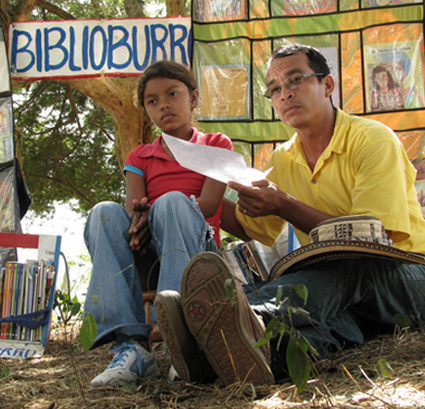 With the kids – whose parents are peasants or members of FARC, paramilitaries, drug cartels – Luis gives lectures and private tutoring, organizes puppet shows and board game sessions. A human story, given the generous and positive relationship between Luis and the kids. 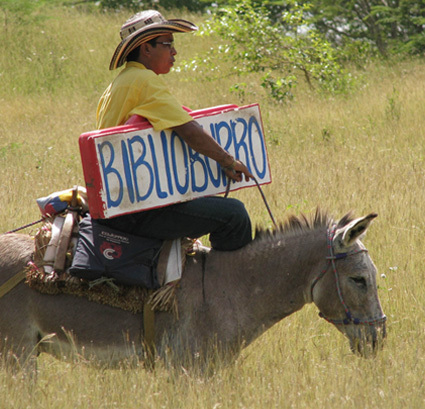 A simple story, in a country as complex as Colombia. A comic story between Luis and his donkeys. A story of culture, among civil war. A co-presentation with P.O.V. Colombian-Belgian writer/director Carlos Rendón Zipagauta has taught cinema at the University of Santa Magdalena in Colombia since 2004. He is also a French teacher for the Alliance Française of Santa Marta. His previous film credits include Porteurs d’eau(2003), La Charanguita (1998) and the award-winning films Ciénaga Grande (1997) and Nukak Maku (1993).